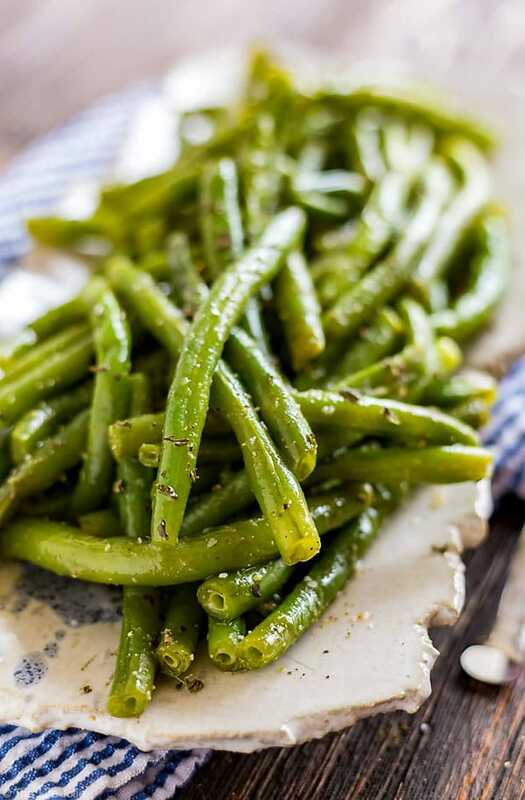 This Green Bean Salad is one of my favorite healthy, simple, Italian summer recipes. It’s really quick and easy to throw together and it’s served cold so you can make it ahead. This past weekend, J and I headed out to Salt Lake City for the Everything Food Conference. I have to say, what an incredible experience! I met some amazing bloggers friends, learned a ton of great things to make this blog even better for all of you and got super inspired! J has been getting more and more involved with the blog and we have some pretty awesome ideas of ways to bring even more value to you. If you have anything specific that you would like to see, please let me know- I would love to hear from you! The trip itself was really great but totally exhausting! We stayed at The Peery Hotel which was totally adorable and conveniently located within walking distance to the city center (dude, the bathroom in our room was major #goals!). Between the insane amount of delicious food that was provided at the conference and the local fare, we ate all the things which I was super happy about. And though we didn’t have much time to do too much else, I made sure to get a quick trip in to Nordstrom as well as In-and-Out. While it was very good for J and I to get away for a few nights (even if it was for work) I missed my girls terribly. They had the best time staying at my parents house, but they were just as excited to see us when we returned yesterday! So…I’m back with another summer salad. I know, I know, it’s possible that I’m just a little too excited that summer is almost here. As I say this, it’s totally in the 40’s and rainy. But I’m still trying to be optimistic about a full-weather-turn-around. How can I not be after the longest winter ever? I’m pretty sure I think it’s the longest winter ever every year, it really wasn’t that horrible this year. 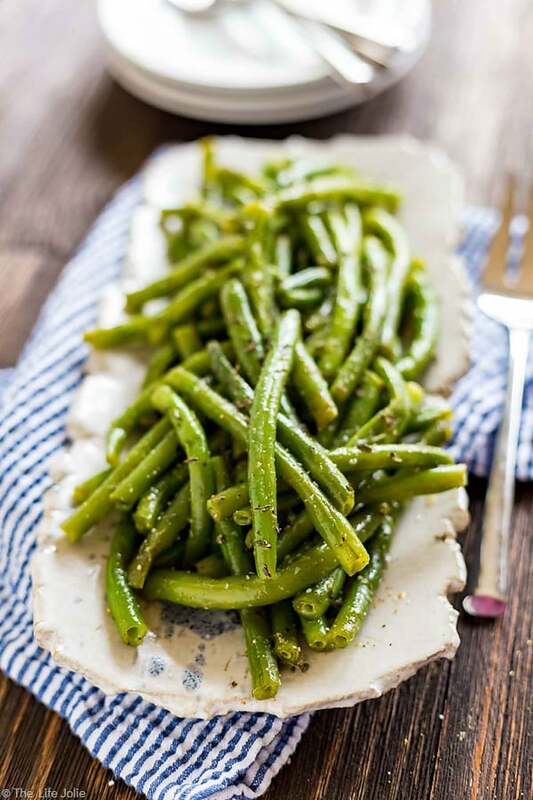 But back to my point, I just cannot get enough of super simple and delicious summer salads and this Green Bean Salad is the very definition of simple and delicious (seriously, look it up, there’s a lovely photo in the dictionary…just kidding, but there should be!). I’ve been eating this salad for as long as I can remember. My Grandma Rose made this frequently the minute the weather got nicer. 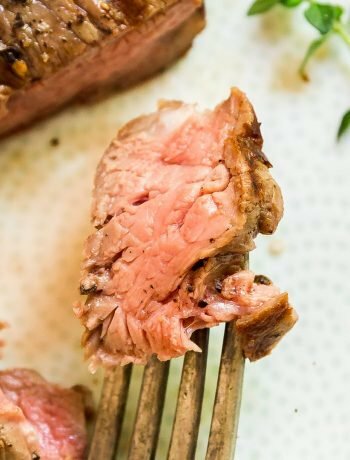 The ingredients are super simple and minimalist but the flavor is delicious. And since you’re dressing it and seasoning it to taste, you can make a large batch for a group or a small batch just for yourself. I like to make a big batch so that I have leftovers because this tastes great for days! I also love that you can make it exactly how you like it. I personally like it a bit more vinegar-heavy with liberal seasonings. But that’s just me- when you make this, you do you 🙂 By all means, taste it as you go along, that’s half the fun of dressing a salad! 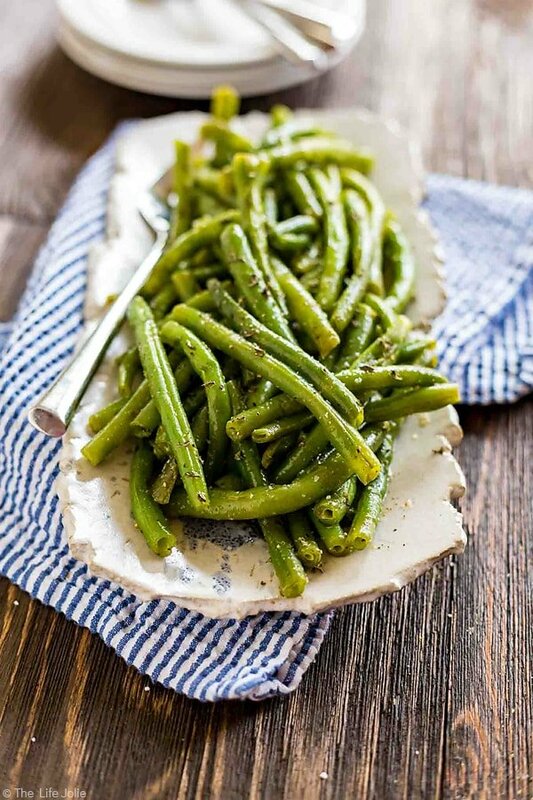 This Green Bean Salad is one of my favorite healthy, simple, Italian summer recipes. It's really quick and easy to throw together and it's served cold so you can make it ahead. 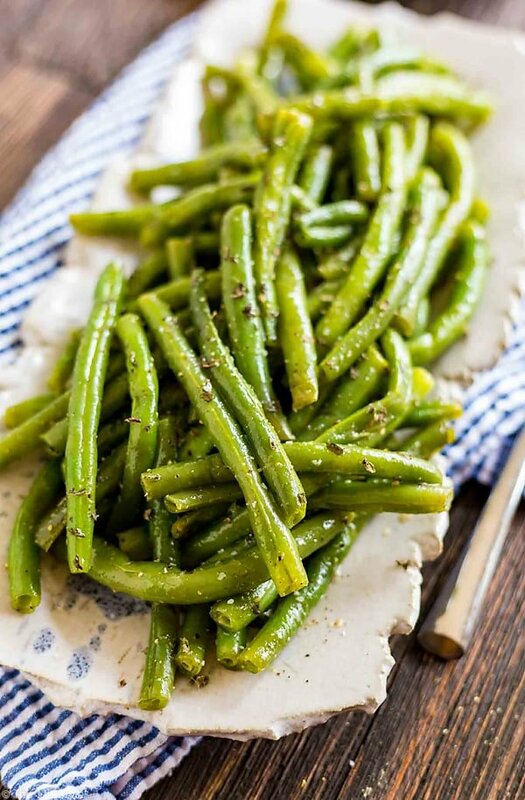 Boil green beans until fork tender, around 5-7 minutes. Then put them into an ice bath to stop the cooking (you do not want over cooked green beans!). Once they've cooled, dress with oil and vinegar. Season with salt, pepper, garlic and dried mint to taste. Refrigerate until you're ready to serve and toss once more before serving to redistribute the dressing. These last a few days in the refrigerator. April 28, 2018 at 9:44 pm What are the measurements? April 28, 2018 at 10:10 pm Hi Suzanne- as I mentioned in the post, everything is to taste. Similar to if you were dressing a salad. Taste it as you go along and adjust the seasoning to how you like them.